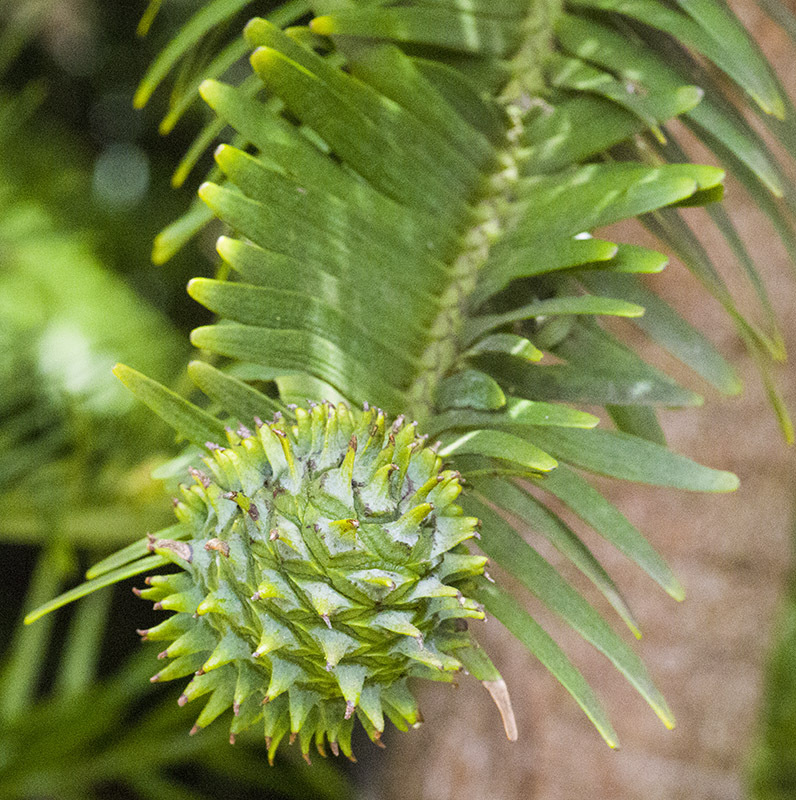 This is the seed (female) cone of Wollemia Nobilis, commonly known as the Wollemi Pine. Until 1994 it was known only by fossils that were up to 200 years old. It was found by a national parks officer in a remote part of Wollemi National Park and there was just a very small colony of them in an isolated gorge. That location has been kept secret every since for protection of the original plants. So the only place I could see the plant for photos was at the Mt Annan botanic gardens where the it has been successfully cultivated. Those gardens grow only Australian native plants.